you save 35 % / 699,00 EUR 19 % VAT incl. Delivery is on a pallet, fully assembled and ready to use. 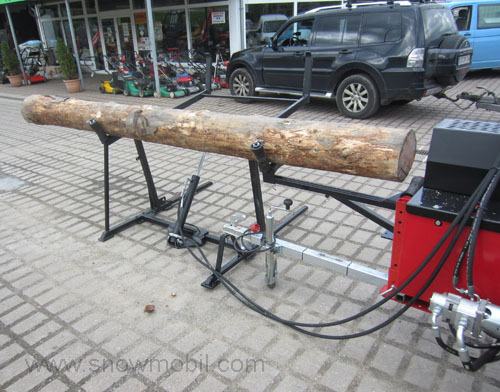 It is connectable to all firewood processors. 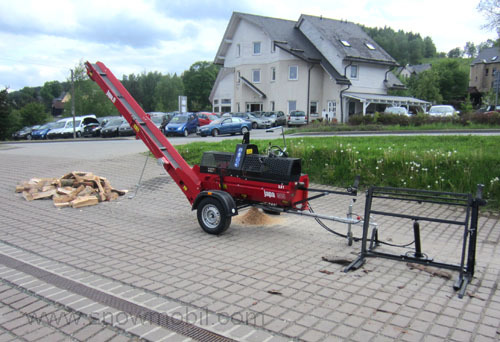 The lifting occurs via the existing hydraulics of the firewood processor. Only the corresponding T-connector must be mounted for lifting up a very big trunk (or max. 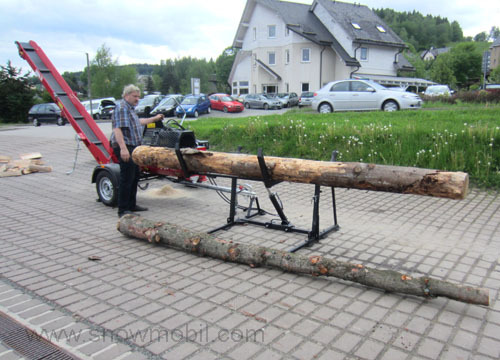 3 tree trunks) hydraulically with this simple lifting device. 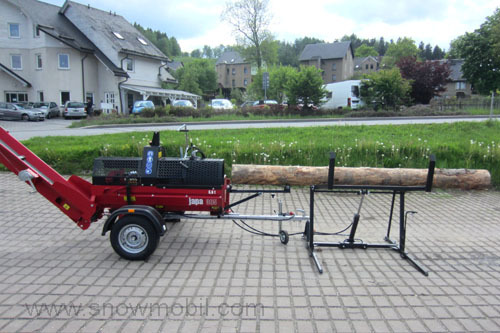 We supply the log lifter with a set of hoses, control valve and connection to the firewood processor. With few effort the log lifter can be screwed to the Firewood.